Alexander Schneider is proud to introduce to the Israeli market the Polar Cap2. 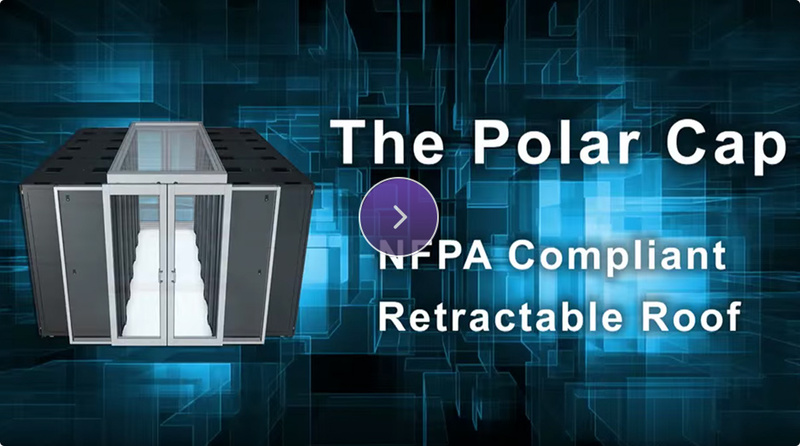 The patented Subzero Engineering Polar Cap2 is the first fully NFPA compliant Aisle containment roof system that attaches to the top of the racks and forms a ceiling that prevents hot and cold air from mixing. Most data center containment systems rely on the heat generated from a fire related incident to release the containment system, as it can pose an obstacle to the fire suppression agent. The NFPA has determined that it is important to have a faster response time and more importantly, a testable system. The Subzero Polar Cap2 retractable roof system is a fully electric roof system that retracts into a metal housing when the fire suppression system is alarmed. Having a pre-action system that reacts to a smoke detector will ensure that the containment roof is fully retracted long before the fire suppression system is discharged. Additionally, the roof material is made with the highest fire resistant standard of ASTM E-84 Class A rating. The Polar Cap2 can also be opened and closed when maintenance is required above the containment space. Subzero Engineering has partnered exclusively with Alexander Schneider to bring innovative products to Israel’s Data Centers.